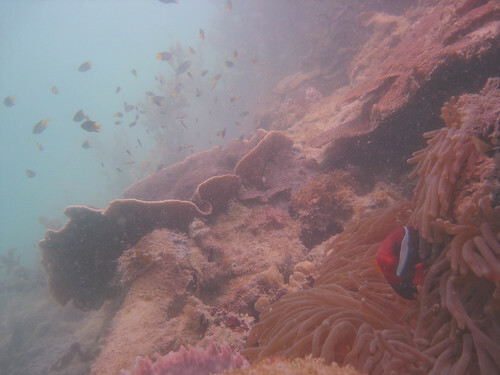 Divers at Pulau Hantu enjoyed outstanding underwater visibility over the weekend. It was rather disorienting. We’re much used to figuring out where we are half a meter at a time, and now all of a sudden we had to compute four meters of landscape at a go. It was a real challenge, but we got the hang of it eventually. Above, a Tomato clown anemonefish peeps out of its host anemone as schools of damsels congregate along the shallow reefs. Today’s trip was a break from our usual public tours. Dive guides got to explore any area they liked. This was an opportunity for our dive guides to take a break from guiding and discover new spots that we can bring people to in the future, catch up on photography, and move at our own pace. Above, dive guide Lam Peimin didn’t miss the chance to haul her huge underwater camera out for this trip! 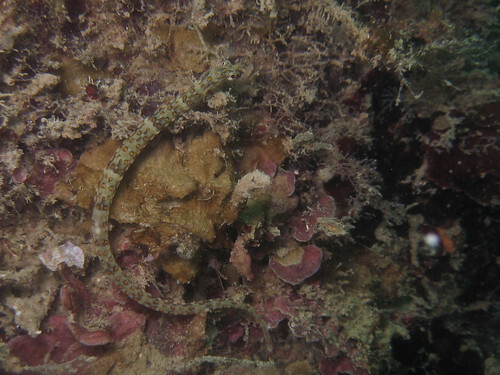 First thing we encountered as we made our descent was a solitary Coral grouper that was sitting in a barrel sponge. 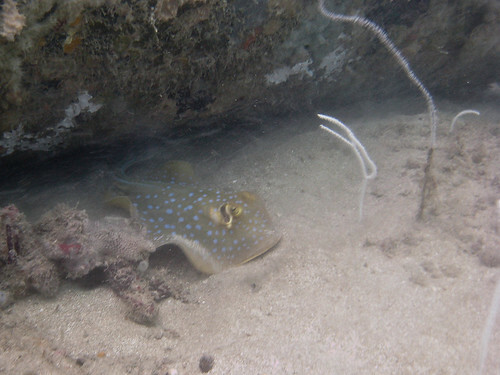 It darted to an open sandy clearing when it saw us and remained there till we swam well away. Hopefully these cautious tactics keep it well away from fishers hooks! I love seeing groupers on our reef. Groupers are predators, so their presence tells us that they are able to find enough food along our shallow reefs. 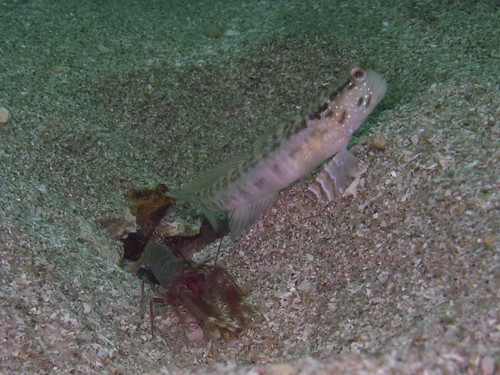 Gobies that live in burrows can spend a long time hiding. These crew trips allow us lots of time to sit at a spot and wait for them to come out with their commensal shrimps for a photo! 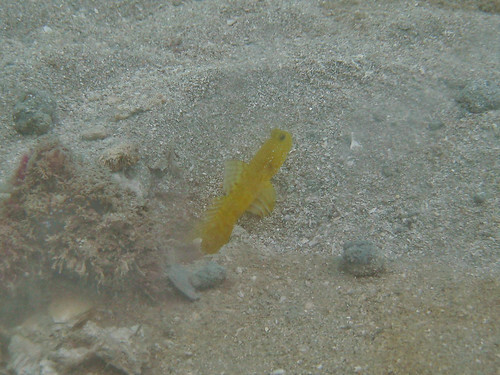 This yellow-coloured goby looks very different from the previous goby, but I think it is a colour variation of the same species. 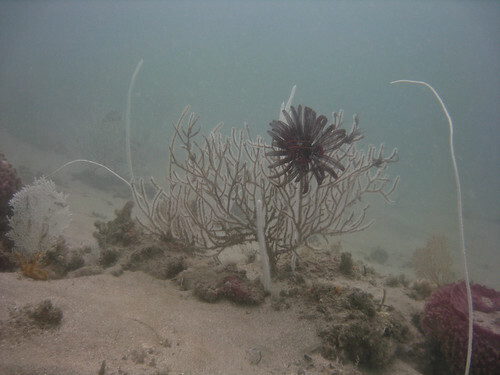 There were lots of huge and beautiful sea fans in the deep. Having good visibility allowed us to appreciate them even from afar! 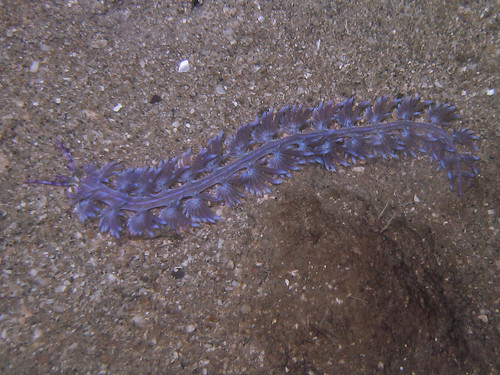 This beautiful mature Pteraeolidia ianthina sea slug had its solar-powered cerata all spread out to soak in the wonderful sun! 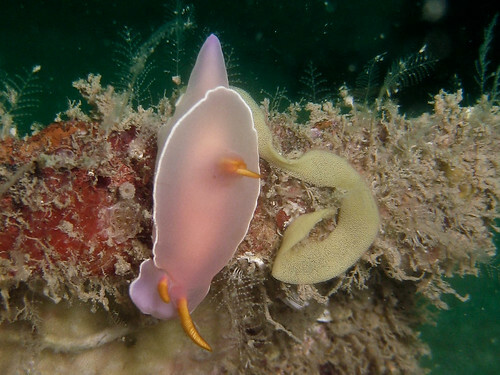 This sea slug has evolved the ability to harness the sun’s energy for its own use. 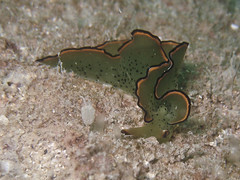 This is possible because the slug feeds on hydroids that contains symbiotic zooxanthellae, microscopic creatures (dinoflagellates) that are photosynthetic — in other words they have the capability to make sugars from sunshine. 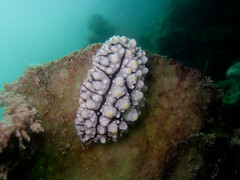 The nudibranch farms these zooxanthellae within its own digestive diverticula. 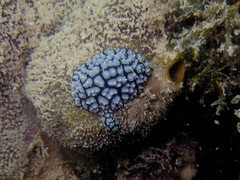 The zooxanthellae then uses the sun’s energy to drive the synthesis of sugars. The sugars are used by the slug. Younger individuals have fewer cerata and are often mistaken for other species. 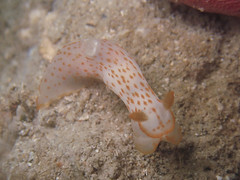 As usual, lots of gorgeous nudibranches! 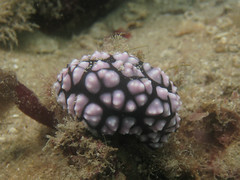 There was even a Hypselodoris bullocki laying its eggs! Several Orange-spotted pipefish were spotted throughout the dive. There were some big fishes too! 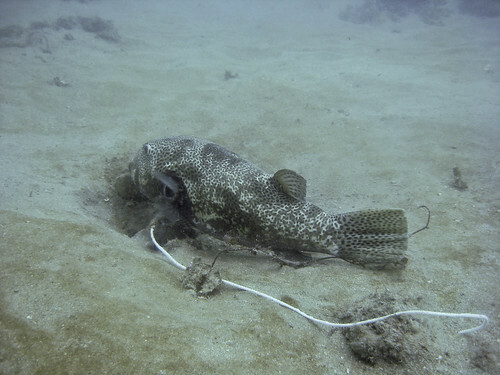 Like this puffer that was wallowing in a depression on the sand flats. 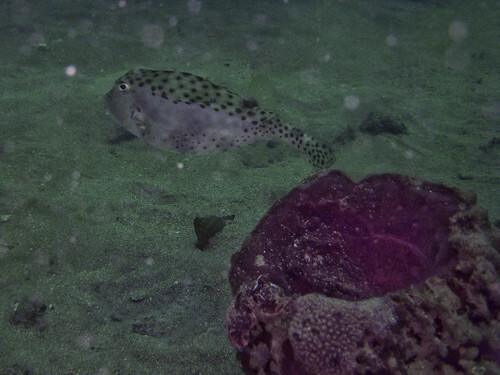 This odd-shaped swimmer is a kind of boxfish. 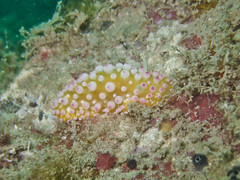 It was encountered several times during our dive. Squatting in several barrel sponges. 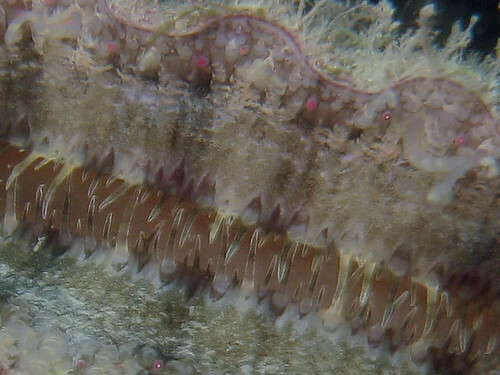 I do believe many fish find barrel sponges a good vantage point for taking a break – most of their body remains hidden while their heads pop out at the top. Groupers, filefish, cardinalfish, squid, and seahorses are just some of the critters that have been spotted sitting inside these sponges. 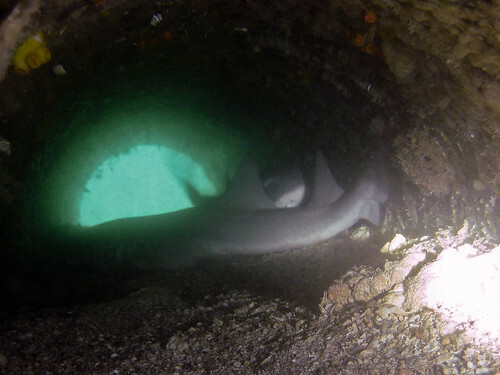 Speaking of big fish, there was also a pair of young bamboo sharks hiding out in a abandoned drain pipe. These sharks come out to hunt invertebrates at night. Unfortunately for them, that is also the time fishermen come out looking for them. 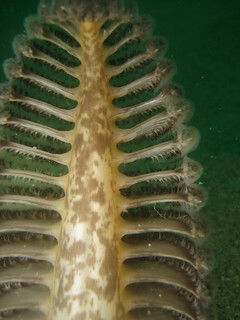 In the deep, a beautiful sea pen. Didn’t manage to find any commensals. A Blue-spotted fantail ray makes a quick exit once it realises it’s been spotted. 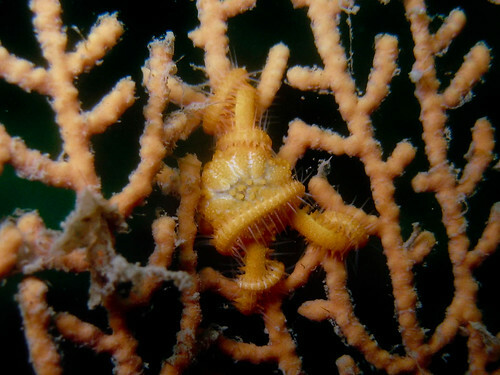 A brittlestar clings on tight to a gorgonian seafan. 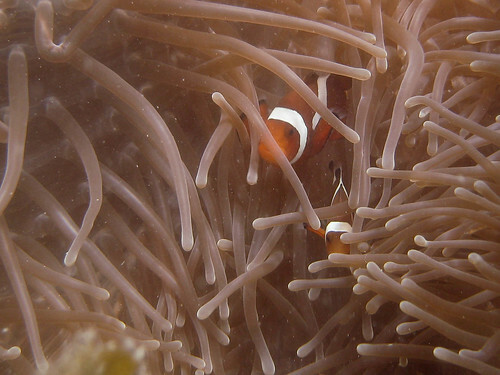 A pair of False clown anemonefish. 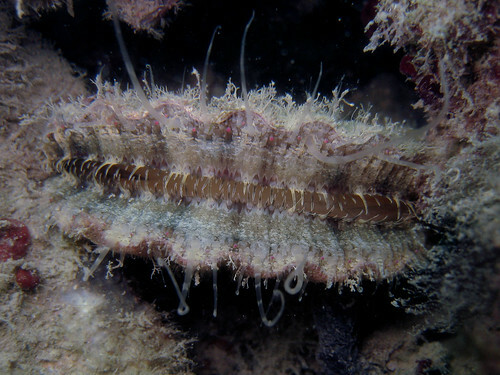 Not many people get to see what a scallop looks like when it’s alive and on the reef. It looks very different from when it’s on the dinner plate! 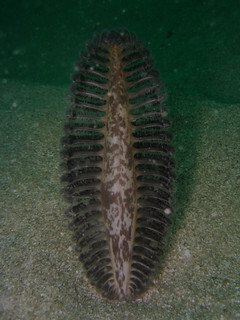 Much of the scallop is discarded when it is cleaned for consumption. Only the adductor muscle is eaten. The rest of the shellfish (the liver, gills, reproductive organs, mantle and eyes) are usually cleared away by the time you buy it from the market. 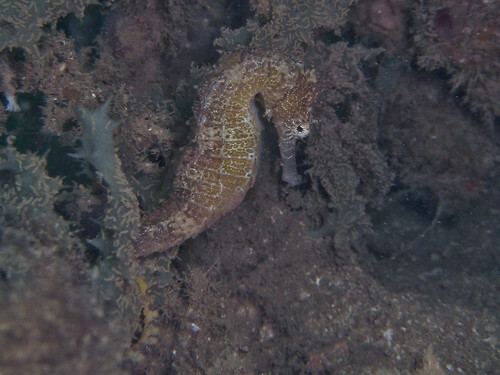 We were lucky enough to encounter two Tigertail seahorses before the dive came to an end! 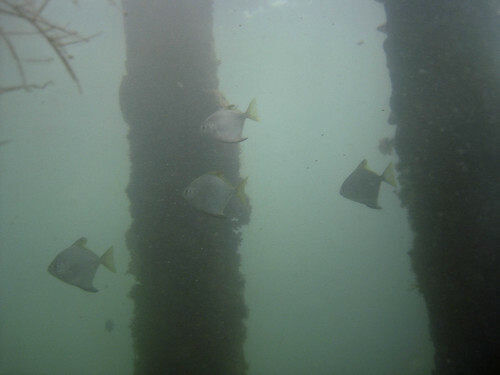 Along our ascent, there were several schools of fusiliers and parrotfish zooming past and around us. A small school of moonies also made an appearance. 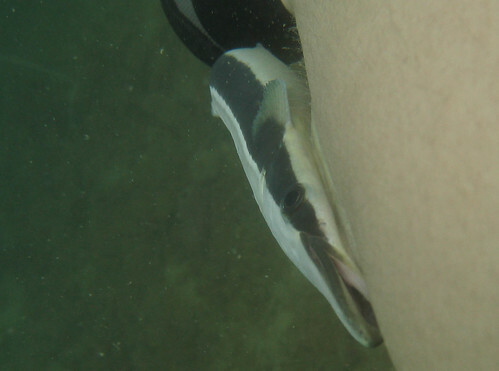 Along the way, a remora latched onto me but it soon figured it wasn’t going very fast or far and most certainly won’t be having any meals underwater from which it can scavenge off from, so it left! 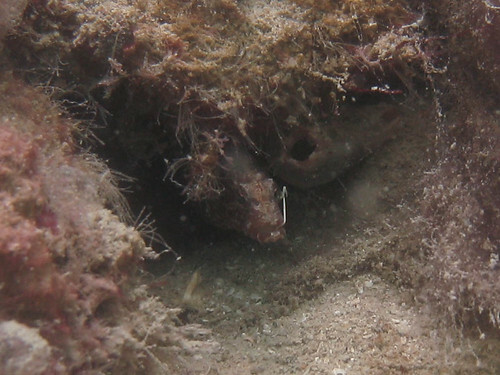 Only after I got back to review the photos, did I realise that this tiny Carpet eel-blenny has a hook in its mouth. It still has much growing to do, so hopeful its body can find a way to push out that massive hook. 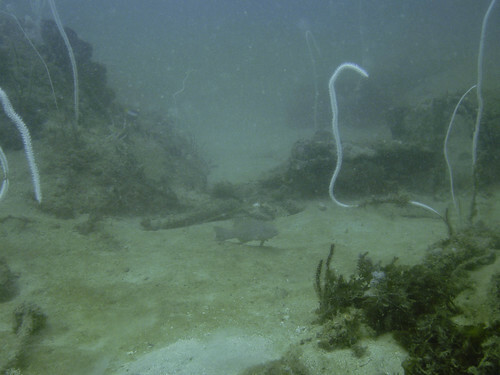 I hope that embedded hook doesn’t hinder this young fish from hunting and feeding itself. 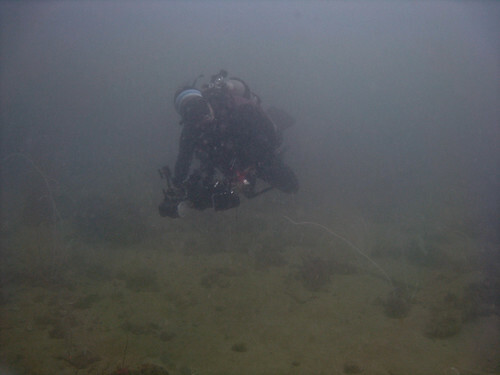 During both dives, I spent a significant amount of time removing several meters of fishing wire tangled on the reef. 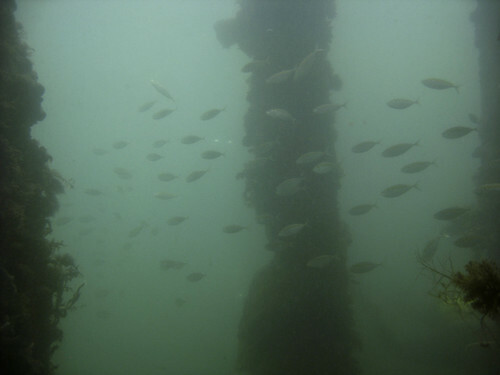 It was dragging sargassum seaweed, sponges, as well as other ropes and rock along with it. The efforts seem futile and ceaseless. But we have to continue to remove whatever we can. To think these wires can be bought so cheaply in stores, yet can inflict such massive and long-term damage to our environment. Sigh. 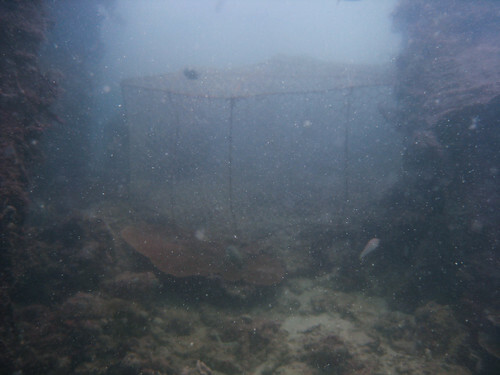 There was also a massive fish trap deployed right ON TOP of the reef slope! I don’t know how long it has been there. But there weren’t any fish in it. This fish trap is big enough to fit a diver. 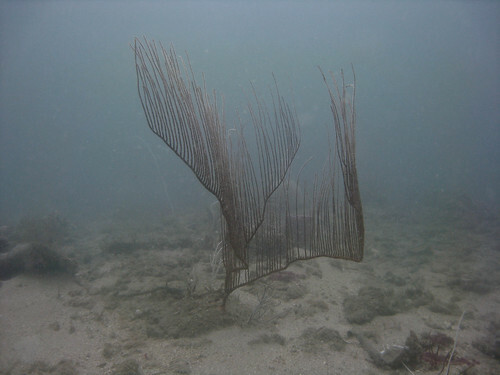 A huge one like that is usually placed on the sand flat, smaller ones on the reef slope, so it’s really upsetting to see the fish trap fastened here. 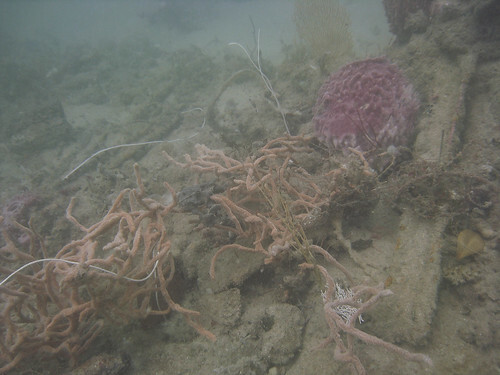 However, because there are no clear rules about what is or isn’t allowed on our reefs, I’m stumped about what to do when we encounter something like. Perhaps I’ll write some letters and see what answers I can get. 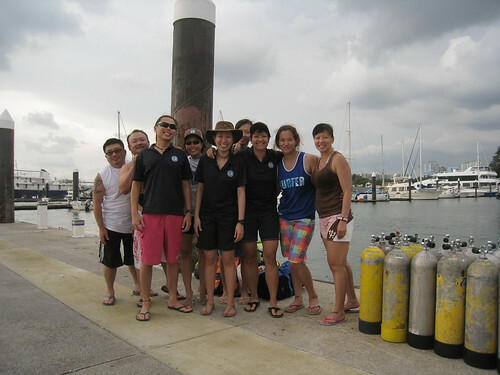 The Hantu Blog dive guides got a weekend off and went back to dive at Hantu anyway!We’re recharged and looking forward to our public trip next weekend! Hopefully the favorable visibility conditions remain! To view more photos from this dive, visit the Hantu Blog Gallery.